I normally add a little comment to guest contributions. But adding something to this is to take away from its essence and flavour. I urge readers to read on and discover this unique effort for themselves. 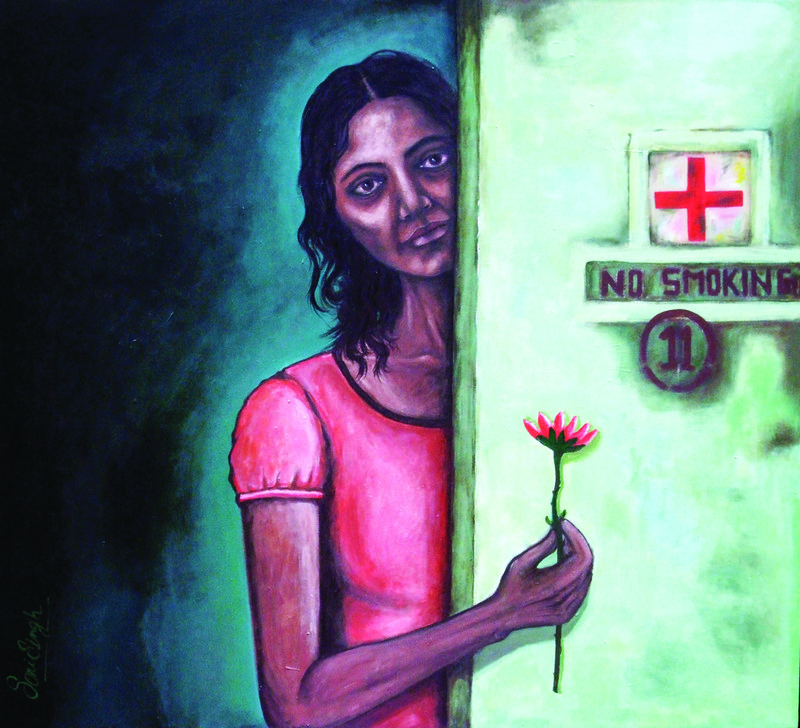 Christo Mathews, Advocacy Officer, Global Health Advocates, India writes about the story behind the story of Chehera, an art exhibition to communicate messages on TB, which was held in New Delhi on 23&24 March 2011 to coincide with World TB Day. JATB is honoured to be able to feature this exclusive story. Fittingly, it started out of Hope; ‘Hope’, an exhibition that one of us in Global Health Advocates India (GHA) attended in early 2010. Experiencing the concept of art bathing social issues in a light of its mysterious own was the beginning of the adventure that was Chehera – The human face of TB. Connecting the DOTS (pun intended) of art communicating the message of TB and the potential of its reach and impact led to our collaborating with the Art for Change Foundation and the Confederation of Indian Industry on a project designed to provide a hard look at a disease for communities and individuals who view TB as a disease that only happens to the next person. The focus was narrowed down to targeting groups like the corporates, for whom TB is ostensibly far removed yet whose productivity numbers belie the effect that this disease has on their top and bottom lines. The potential that this sector has as a participant in this battle is immense; from running TB programs in their workspaces on TB treatment and control to creating technologies to tackle the disease on various fronts to using their influence within and without the system to work on policies that favour the patient, the sky nay eradication is the limit. against the disease. ‘TB, not as usual’ was our buzzphrase for this effort. 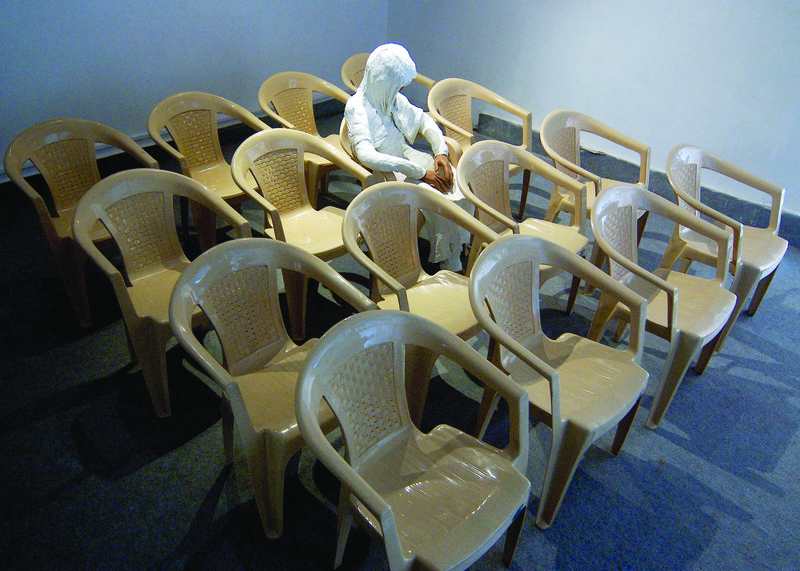 Cut to scene –August ’10 – a group of artists, along with us, pay a visit to the Rajan Babu TB Hospital in Delhi. A brief sensitization session is conducted by the most helpful hospital management. The artists then go to the wards and meet with the patients and those who care for them. Multiple discussions abound. Most of the patients are surprisingly unperturbed about lifting the veils into their past and present. Consent granted, a few photographs are clicked. The same scene is conducted – with another set of artists – the next month. Post that, the experience culminates in an art camp held over the period of a week; a time of interpreting the knowledge, interaction and perspectives over endless warm cups of masala chai. Visiting the insoluble connections between the ‘them’ and the ‘us’ and everything that surrounds. Cut to March ’11 – 38 pieces by 22 artists that open windows of all sizes into the lives of those afflicted by TB ready to exhibit. 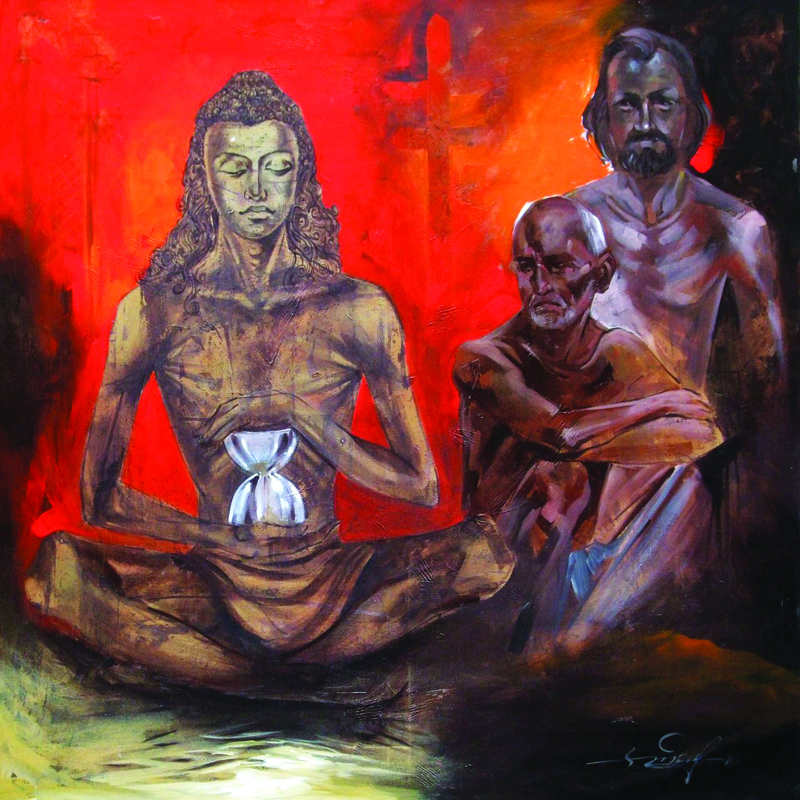 Depicted in the art are emotions, experiences, aspirations, dreams; some are of the artists, some of the subjects and others of the affected families. Add to our partner mix, the Religare Arts Initiative Ltd. who open up their gallery in Connaught Place to host this exhibition. A delightful catalogue is generated featuring thoughts from the partners, from the National TB Program and moving commentaries on each work by their respective creator. He speaks for the artists in particular but the sentiment truly resonates with all of us fortunate enough to be a part of this project. Global Health Advocates India is a non-governmental organization that focuses on engaging all sections of society to fight diseases that disproportionately affect people living in poverty, and are also causes of people living in poverty. In particular, Global Health Advocates India works towards the formulation and implementation of effective public policies to fight disease and ill health in India. JATB is immensely proud to feature the impassioned voice of a TB activist. This is really the missing link the the fight against TB – a point that was emphasized in one of our earlier posts. We have valuable lessons to learn from the HIV movement. A large part of its success can be attributed to constructive activism – something that became possible because people affected/infected by HIV were empowered to demand services, demand their rights and demand to be counted. More power to Blessina Kumar. 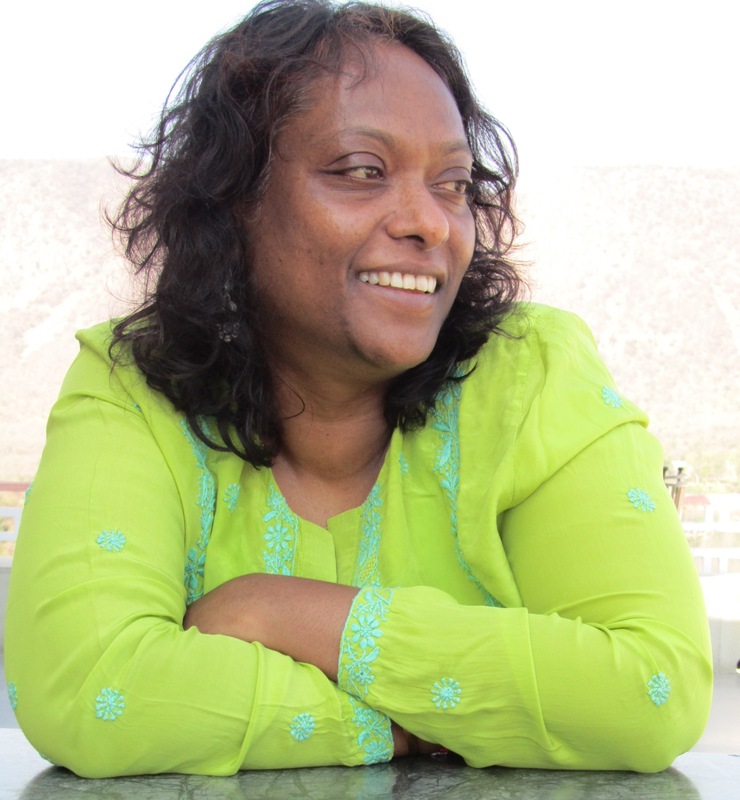 Read on for an unedited version of her plea for empowerment of TB patients. “Nothing for Us without Us” – said an activist friend from Africa at one of the conferences. Another WTBD has come and gone and this time Delhi was abuzz with events more than ever before. A media awards function honouring journalists from different parts of the country. An art exhibition on TB, definitely the first; a gathering at the Red fort and a street play by students on MDR TB accompanying the release of TB 2011 report by WHO (SEARO) and Bill Gates visiting the TB Hospital for a closed door exclusive meeting. In all this excitement, something was missing – patients, patient representatives and community members. The media event, a really nice show, had several dignitaries seated on the dais. The Minister for Information Technology, Government of India, the Deputy Director General ,TB, the Director of the TB Partnership, the Director of the Union, heads of the organizations who put the show together, the chair of the TB NGO and one of its board members. But there wasn’t one patient. The jury for the awards, all eminent people but no patients or patient representatives. How much nicer would it have been if a patient /cured patient was on the dais speaking from experience about the media and how it could help. I agree that it was important to hear the Deputy Director General TB, the Director of the Partnership, the Director of Union, heads of the organizations who organized the whole show and the chair and board member of the TB NGO. But all of them spoke of the patient as a mere recipient of care and treatment. A view that is very common in India. Only the Chair and Board member of the TB NGO uttered the word ‘community’. Bill Gates, too, was here in New Delhi on the WTBD and met with ministers and visited a TB hospital and left. He heard the ministers and the policy makers but not the patient’s perspective. All efforts to contact the BMGF here in Delhi were in vain. They did not bother to either return the calls or reply to sms requesting for a short meeting. Yet BMGF has pushed the community into the forefront on their AIDS initiative. Would Gates have missed the community on World AIDS Day? As long as we see patients and communities as mere recipients, powerless and dependent there will never be empowerment. We talk of empowering communities without really understanding what it really means. I have heard a lot of excuses in the past and continue to hear them, whenever I raise the lack of effective engagement with the community and patients. ‘They don’t want to be seen as patients for life’; ‘They are not articulate enough to speak to a large group’; ‘We do not have resources’, so the litany goes. None of these are valid because there are many who can and will talk. My co activists and I have been speaking for the past 4 years. The planners need to plan for empowering patient representatives and investing in training them to speak. The HIV community has done it and with a small amount. And look at the results! When will we learn that involving the patient is beneficial and cost effective in the long run? Today most of those working for TB are discriminating against the patients and communities by keeping them away from most forums and opportunities where they could make their voices heard. Patients and communities have a right to be part of the decisions that are being made that will affect our lives. It is time for TB to learn from the HIV movement which gave marginalized and stigmatized groups respect and brought them into the mainstream. Why do we lack the will to do the same and keep making excuses for ourselves?? At a recent Partnership meeting ‘involving the community’ meant having an American living in France join them on Skype!!!!!! Of the millions of patients in India could they not find one who could have been worthy of attending the meeting in person??? It’s time to wake up and see the reality. People are dying in the thousands, more than from AIDS. We need to join hands and not just with the ministers and directors and MD’s but also with the marginalized and neglected groups, patients and patient representatives, with those who are suffering and in pain. After all that’s what it’s all about. Only through true partnerships can a world without TB become a reality. The views expressed here are entirely of the author. New Delhi: Pain, fear and stigma – the numerous challenges of living with TB, which claims an average of 800 Indians everyday is being portrayed through artworks seeking to sensitise society and garner corporate support for the communicable disease. One installation and 35 paintings capturing the emotions of the afflicted is part of an exhibition “Chehera: The Human Face of TB” has been put together in an exhibition here in support of the World TB day on March 24, jointly by the NGO Global Health Advocates (GHA) and Art for Change Foundation (ACF) in partnership with Confederation of Indian Industries (CII). “We want people to see TB in a whole different perspective. While government and civil society members are involved in the fight against the disease an entire section of the society remains ignorant and tend to generally brush the issue under the carpet,” says Christo Mathews, advocacy officer, GHA India. March 23, 2011 – Paris – European politicians, tuberculosis (TB) advocates and health advisers are gathering tomorrow to discuss an innovative financing model that would enable scientific discoveries to be translated into TB vaccines. Speakers at the World TB Day event also warn against counterproductive cuts to public health spending. A World Bank study on the economic impact of TB control estimated that the benefits of investing in scaled-up TB care and control outweigh the costs of treatment, on average, by 10 times. Jorge Sampaio, the UN Secretary-General’s Special Envoy to the Stop TB Partnership and one of the speakers at this meeting, stresses that Tuberculosis damages economies worldwide, destroys families and is keeping millions of people in poverty. “We need to avoid making the same mistakes from the past when, during economic recession times, irrational and wholly uneconomic decisions were made to cut health spending. We need to remember that health is an investment,” says Mr Sampaio. 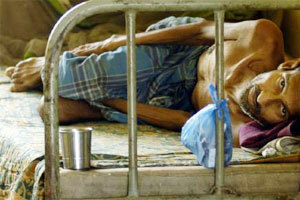 Worldwide, tuberculosis (TB) kills 1.7 million people every year. The economic burden related to TB is estimated at 0.52% of the world’s gross national income. Cooperation, research and innovation are the key drivers to eliminating this devastating disease. “With TBVI’s financial plan, we can kill two birds with one stone: reduce the massive poverty caused by tuberculosis and strengthen the role of Europe in the world of innovation,” says Onno Ruding, chair of TBVI’s governance board. The meeting is organized by TuBerculosis Vaccine Initiative (TBVI), Calouste Gulbenkian Foundation, Fondacion Mérieux, Friends of the Global Fund Europe and the Stop TB Partnership. 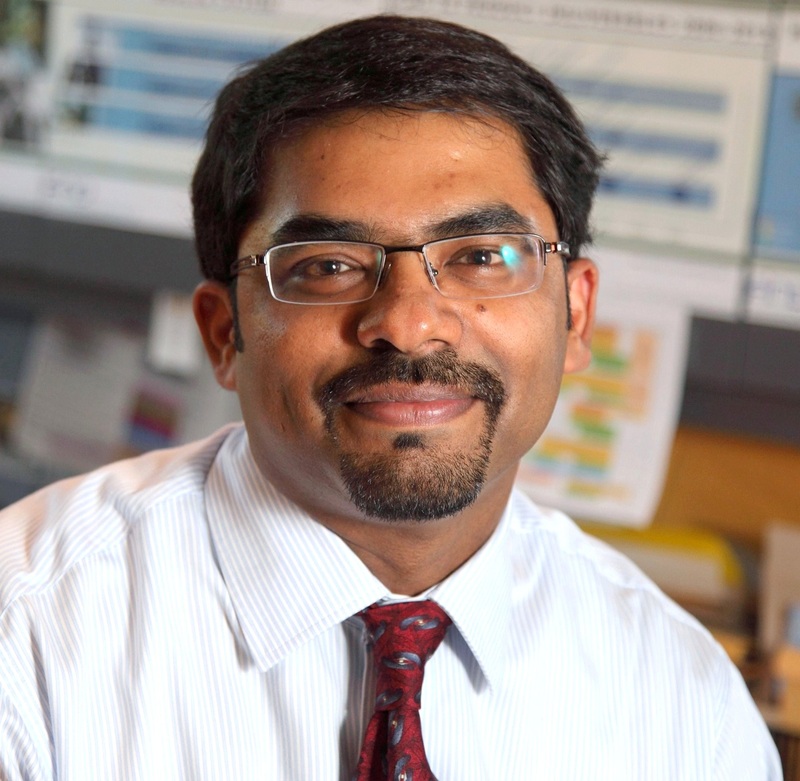 On the eve of World TB Day, Dr Madhukar Pai, a professor based at McGill University, Montreal, and Co-chair of the Stop TB Partnership’s New Diagnostics Working Group, writes on the challenges ahead for fighting TB in the next phase of the Revised National TB Control Programme RNTCP 3 (2012-2017). JATB is honoured to feature him. With 2 million new cases annually, India carries the largest TB burden in the world – one-fifth of world’s new cases. A substantial change in reducing TB here in India, means a change in the TB burden the world over. India began implementing the WHO recommended DOTS (Direct Observed Treatment Short course) strategy in 1997 as part of the Revised National TB Control Program (RNTCP) led by the Central TB Division of the Ministry of Health. The Government of India is currently in the process of preparing the blueprint for RNTCP 3 which will run from 2012-2017. If we take a look at the programme’s achievements during its first two phases, the RNTCP is to be commended for the role it played in India successfully scaling up DOTS to cover 100% of the population. This scale up made India’s DOTS programme the world’s fastest expanding health programme. We’ve done well to achieve international targets for case detection (70%) and cure rates (85%) and it’s been cost-effective, with exceptional return on investment from a societal perspective. Yet, in 2009, over 2 million TB cases and 280,000 TB deaths keeps India at the top of the list of countries with the highest TB burden. It is obvious that we are not succeeding in this battle. And a primary reason for this is poor diagnosis and mismanagement of TB. Diagnostic delays are all too common and by the time a patient is diagnosed with TB, he/she has already visited multiple doctors, and infected several others. We have the largest private health sector in the world, with 60-80% of health care in India falling under the private sector. Private providers are the first point of care for the vast majority of TB cases and yet are estimated to contribute just 2%-3% of RNTCP case finding and less than 1% of case management. Therefore, if RNTCP 3, the third phase of the program, must succeed, the Indian private sector must be incentivised and engaged on a scale commensurate with its dominant role. Small-scale projects are just not adequate. The need of the hour is socially-oriented yet economically viable, innovative business models that combine public and private financing. Indian corporate donors and philanthropists must step up to support the RNTCP. The motive is as business driven as it is altruistic because TB takes its toll on young and working adults in India, resulting in mammoth economic losses. Despite its size and importance, the Indian private sector is largely unregulated, characterized by systemic market failures throughout the value chain. These include dumping of useless diagnostics from rich countries into India because of weak regulation, doctors receiving kickbacks for tests ordered, over-reliance on bad tests and under-use of good diagnostics and prescription of incorrect TB treatment regimens. A recent study from Mumbai, by the Hinduja Hospital, published in Public Library of Science, showed 106 doctors prescribing 63 different drug combinations for TB. Such irrational practices may explain the emergence of 100,000 drug-resistant TB cases each year in India. The socio-political aspect of this problem in India was poignantly illustrated by Michael Specter in the New Yorker recently, where he provided heartbreaking stories of mismanagement of TB in India. A particular case in point was the market for inaccurate and inappropriate TB diagnostics, particularly in the private sector. Serological (antibody) blood tests for TB are known to be inaccurate and inconsistent yet despite the evidence and lack of any supporting policies, a whopping 1.5 million TB serological tests are done in India every year. The market size for this undependable test? At least Rs. 70 crores (15 million US $) per year. Mismanagement of TB is detrimental at two levels – at that of the individual patient who may be put on unnecessary TB therapy or continue to suffer from TB without the correct treatment and at the level of public health because every mismanaged or undiagnosed TB patient serves as a source for new infections in the community. Breaking this chain of transmission requires the earlier and faster detection of the disease and getting more TB patients on the correct therapy. To improve the landscape of TB diagnosis, India must adopt new tools that are accurate, validated and WHO-endorsed, and replace bad tests with ones that can reduce the spread of TB in the community. This will require improvements in regulation of the private sector in general and an intense review of regulation of diagnostics to prevent abuse of suboptimal diagnostics. In addition, ambitious goals must be set. India has already taken the lead in this area, with its impending launch of RNTCP 3, by envisioning an ambitious plan for 2012-2017, that aims to provide universal access to quality diagnosis and treatment for the entire population. That the RNTCP alone cannot make this vision a reality is a given. It demands that a role be played by all the stakeholders in what is essentially a national problem. Along with the Indian government which must fund this with the substantial resources that the plan needs, the Indian private sector and industry also has a unique opportunity here. India already makes a remarkable contribution through low-cost generic drugs and it certainly has the capacity to develop low-cost generic or novel TB diagnostics that can make a big difference, both nationally and internationally. Indian generic anti-viral drugs dramatically changed the global landscape of access to HIV treatment and similar efforts are underway to develop low-cost flu diagnostics, vaccines and drugs. TB deserves the same dedicated focus from various stakeholders. The time has come for all Indian healthcare providers, industry, civil society, donors, activists, journalists, politicians, philanthropists and patient groups to rally behind RNTCP 3 and make it a success story. Having made major inroads in improving TB control, it is now time to get ambitious and innovative. Anything less will not save the thousands still dying of TB every day. This article was originally published as an Op-Ed in The Asian Age on 23 March 2011 (New Delhi edition). It is estimated that up to one-third of the world’s population—over two billion people—are infected with TB, and each one of them is a potential future case of TB disease. According to the WHO Global Tuberculosis Control Report 2010, TB remains the leading killer of people with HIV, accounting for at least a quarter of all HIV deaths in 2009. Despite being curable, TB claimed 4,700 lives each day—or the lives of 1.7 million people that same year. After nearly 50 years, there is finally something to get excited about in tuberculosis (TB) drug development. Tibotec’s TMC207—the first compound from a novel class of TB drugs, the diarylquinolines—will likely be submitted to the U.S. Food and Drug Administration and the European Medicines Agency for accelerated or conditional approval sometime in 2012. JATB is going places. In reponse to a story that appeared in this blog on childhood TB and its associated problems, one of our members has been invited to speak at the International Childhood Tuberculosis Meeting 2011 being held in Stockholm as a partnership between European Centre for Disease Prevention and Control (ECDC) and Stop TB Partnership. JATB will be presenting a session on What lessons can be learnt from a health journalist committed to TB. Children with tuberculosis (TB) are usually not given high priority in national TB control programmes despite increasing recognition that they are a vulnerable and important group. Children suffer severe TB related illness that contributes significantly to the overall burden of TB and potentially to overall child mortality. Worldwide, about 1 million TB cases occur each year in children (under 15 years of age) . In addition, even in low/intermediate incidence settings like the European Union there is a substantial number of childhood TB cases, reaching up to about 40,000 cases over the last decade . Diagnosis, treatment and control of TB in children is challenging. The risk of progression from infection to disease is increased among children, in particular the young (0-4 years), HIV-infected and malnourished. These are the groups that pose the greatest diagnostic challenges. Young children are also at risk of developing severe and disseminated TB such as miliary TB and TB meningitis. Bacteriological confirmation of the diagnosis of TB is challenging because of difficulties with obtaining sputum samples, the paucibacillary nature of disease and because of a lack of culture facilities in most high-burden TB settings. For this reason, the extent of drug resistant TB in children is not well documented. Basic and translational research on diagnostic tools has not focused on paediatric needs to date. The usual presentation with paucibacillary disease means that treatment outcomes are usually good, and the risk for drug-related toxicity is very low when using recommended first-line treatment regimens. However, adherence is a challenge and outcome can be poor in at-risk children such as HIV-infected, or when diagnosis is delayed or missed in the context of severe pneumonia. Despite the obvious need, especially for new tools for the diagnosis of TB disease, children are rarely targeted for evaluation of new diagnostic approaches and are infrequently included in clinical trials to evaluate new drugs or new treatment strategies. To date, considerable efforts on TB have been undertaken under the framework of Millennium Development Goal 6. However, improving child health is also the prime focus of Millennium Development Goal 4. By appreciating that tuberculosis and other respiratory tract infections seriously impacts on the health of children, it is important that great efforts are taken to eliminate TB also in this vulnerable group, to make progress towards improved childhood health. Together with the Childhood TB Subgroup (DEWG-STOP TB Partnership) ECDC is hosting a meeting on childhood tuberculosis, in a joint effort to highlight the current situation and to move the agenda forward in order to achieve a concerted advocacy approach and to hear the voice of the children.